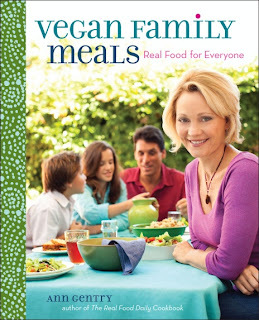 I received a request today from the PR firm representing cookbook author Ann Gentry to do a blog post this summer for her site http://www.realfood.com/blog/ . I think I am one of a handful of people who were asked so it’s exciting to say the least! 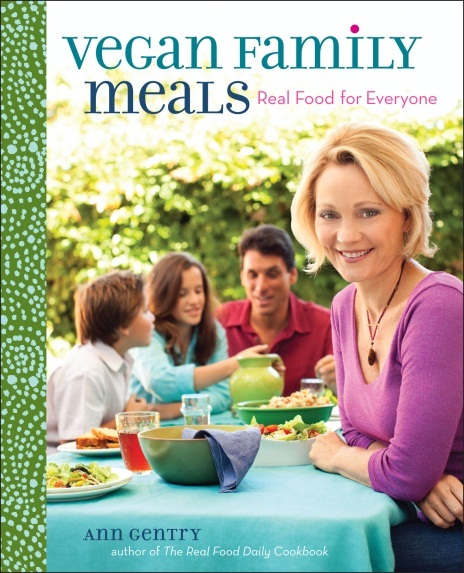 I am looking forward to tearing into her new cookbook for some fresh, new ideas for my family meals. It is undeniable the health benefits of reducing or eliminating the meat from your diet. I have done it and after a few days and some careful meal planning as well as support from your friends and family it is do-able. Since I used the past tense it should be clear that I do eat meat now. I would not say I consume a lot of meat but I do make good choices as to what I eat and where I buy it from. This has meant we do spend just a little more on food but in the end it is worth it to me. To me, the decision to buy locally grown and raised food is not made due to trends or what is popular now. I just made a conscience choice to care about what I put in my body. I do shop at mainstream grocery stores but I am a very choosy consumer. I know a lot of others that do this so I am not a trendsetter ???? I have seen a pattern with my family’s health that is indisputable and since I am their mother and caregiver I guess that leaves the choices up to me, right? Plus, I really attribute my good health throughout the last 16 months while having my tumor removed (and having a partial mastectomy) to my eating habits.